With the threat of litigation hanging over their heads like the sword of Damocles, the Florida House’s Health and Human Services Committee has taken up debate on the controversial smoking ban. The ban is a result of Florida voters overwhelming approval of medical marijuana use for medicinal purposes in the last election. While the 2017 bill signed into law by Gov. Rick Scott legalized access to the drug in pill, oil, edible and vape form, it made smoking it illegal. Governor DeSantis has threatened legal action if the legislature can’t fix the issue by March 15. Some see the ban as a stupid and clumsy way to say “no to drugs” which hasn’t worked since former First Lady first introduced the idea in the 1980’s. 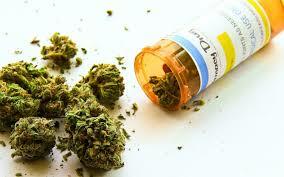 More importantly, the use of medical marijuana has proven helpful in treating patients with serious illnesses. In the Florida Senate, some argue that the ban is an unnecessary burden on poor people and an unwarranted restriction on everyone’s right to make their own medical decisions. We know where Governor DeSantis stands. It’s still too early to tell where the Florida House membership will come down on this issue-an issue concerning which the Florida voters have already resoundingly decided.